Discussion in 'Team KIV' started by saika.city, Nov 27, 2011. This is so amazing, cfans is the best! 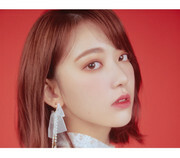 Edit 2: Sakura debuts soon for IZ*ONE in their showcase. Here's a preview pic that was taken for reporters. Big ears Sakura makes its return at MCountdown, one of Korea’s top music shows. This is her focus cam performance, and she’s amazing in it. Sakuratan interview trans from Big One Girl magazine.. Enjoy..
Part 3 of Sakura's C-fans debut support! This time its Screen Ads in MBK mall, Thailand! Starts from Nov 5 to Nov 18!